You are looking at the Doom armour case from LOVE MEI. Designed to provide extra protection for Huawei's smartphone series. This case made of aluminium, silicon / rubber and a tempered glass window, is designed to fit the phone like a glove and to protect the phone by being shock resistant, water resistant (splash proof), dirt resistant and drop resistant. The perfect case for those on the go but perfect for all occasions. Suitable for many different Huawei's smartphone models and comes in several different colours. Full body rugged military protection:- Two-tiered architecture protects the Phone with this 360 degree dual layer case (Anti-scratch, Drop Protection, Shock Absorbent, Shatterproof). Made of premium materials. Durable, providing a superior safeguard for your Phone. 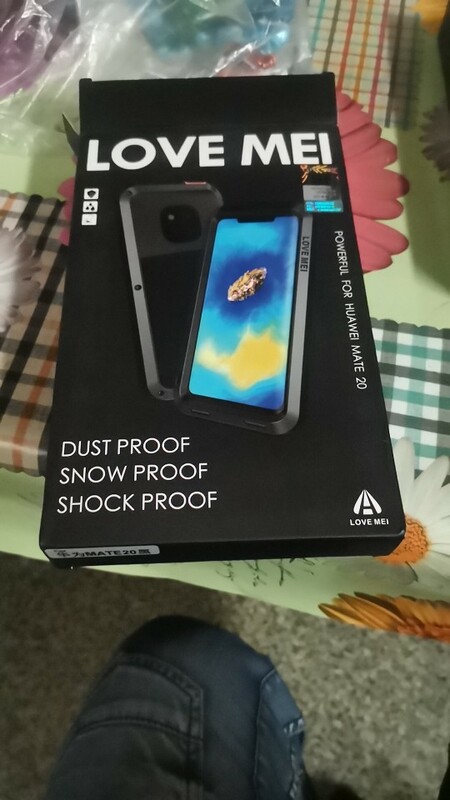 Unique sealing:- Case is designed to block dirt, sand and dust from entering, perfect for taking your phone to the beach. The case also makes the phone water resistant so your phone is resistance to heavy rain or accidental water damage (not used for planned submergence, the case will slow water reaching your phone but will not prevent it). High Design:- The case is designed to fit the Apple iPhone series of phones like a glove with each button (power, volume, etc) and port (cameras, speaker, charging port, etc) being fully accessible without any hindrance. Hard Fashionable Shape:- Not only a practical case perfect for outdoor actives and rough duty, but the design gives the phone a rugged, tough look that is very fashionable. Compatible Models: P20, P20 Lite, P20 Pro, Nova 3e, Mate 20, Mate 20 Lite, Mate 9, Mate 10, Mate 10 Pro. While the case is water resistant, it is designed to protect your phone from rain and splashes, not submergence in water.